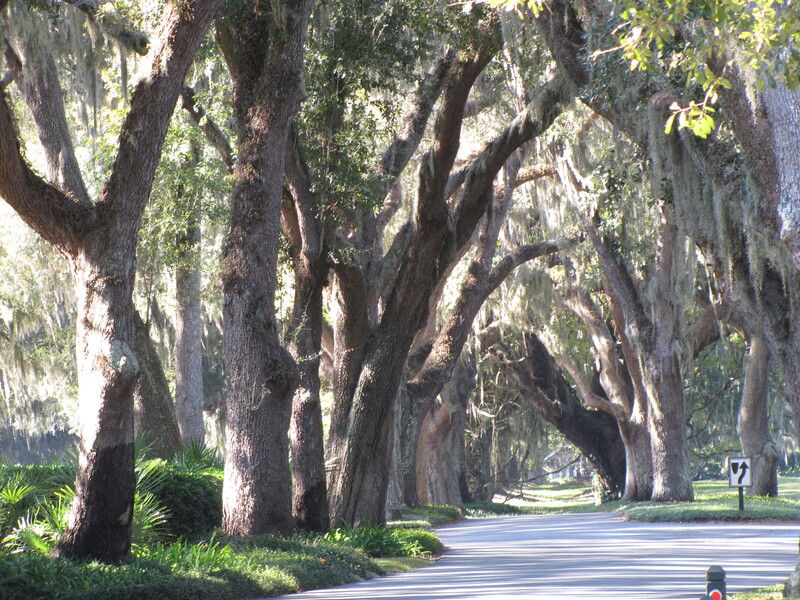 We drove next down a beautiful avenue of oaks on St. Simons Island. The oaks made a shady canopy over the road, which led down to a private golf area and resort. St. Simons is one of the largest of Georgia’s Golden Isles, with the natural beauty of the area preserved. 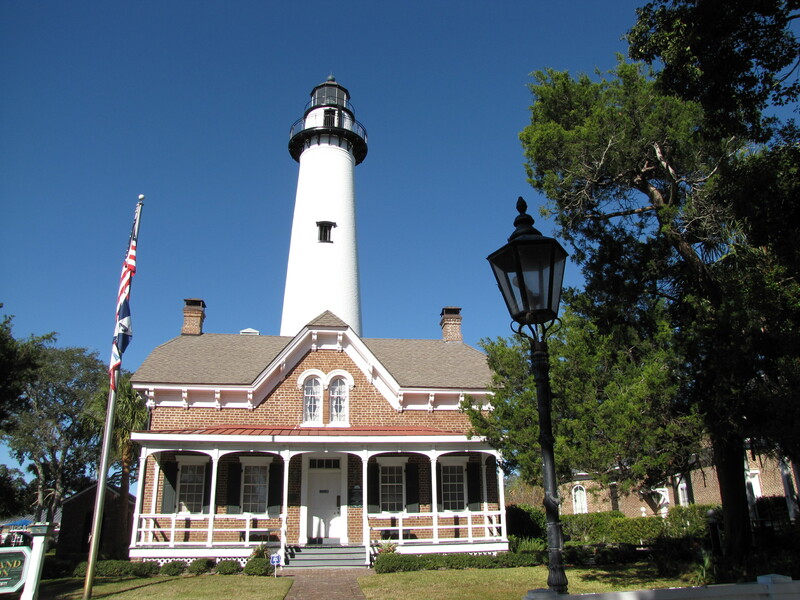 On the island is a restored 1872 lighthouse keeper’s home and working lighthouse. The home is now a museum of the Coastal Georgia Historical Society. Compared to some of the lighthouse keeper’s homes I have seen this was a very nice one. Of course it has a beautiful setting right near the water’s edge. On Gascoigne Bluff you find many live oaks. In 1794 timbers cut from here were used in building “Old Ironsides” and also some timber from here is in the Brooklyn Bridge. Aaron Burr sought refuge along the shores after his duel with Alexander Hamilton. Our plan was to go to Sea Island next. On Sea Island is the renowned Cloister Resort, one of the world’s great hotels. It has been a favorite place to vacation for several past presidents. While on St. Simons Island we asked about going there. We found out that it was open only to guests. We were told that even the help can’t bring a car on the island but are bussed in. OPRYLAND RESORT IN NASHVILLE, TENN.
CHEEKWOOD BOTANICAL GARDEN AND MUSEUM OF ART, NASHVILLE, TENN.